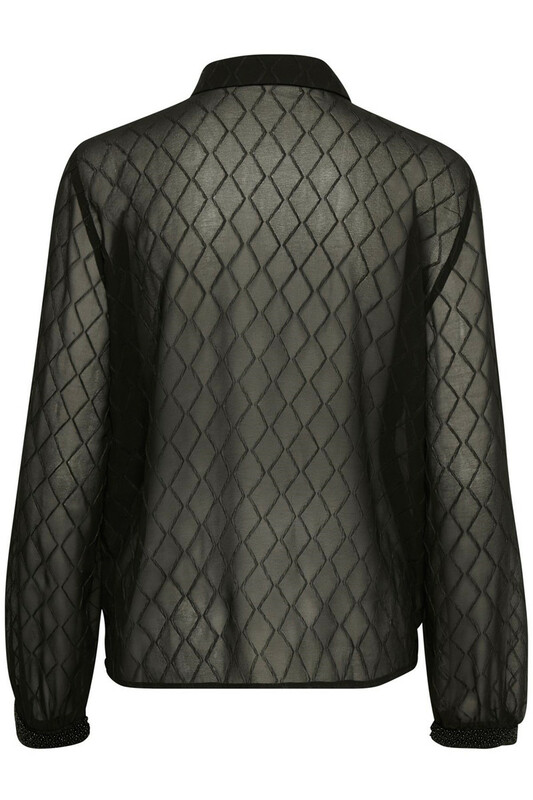 Beautiful blouse with textured fabric and elegant details. 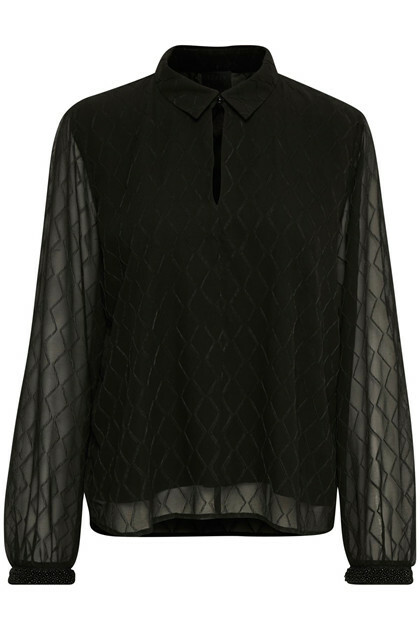 The blouse is regular fit with a collar with a small opening which does up by an elegant button. 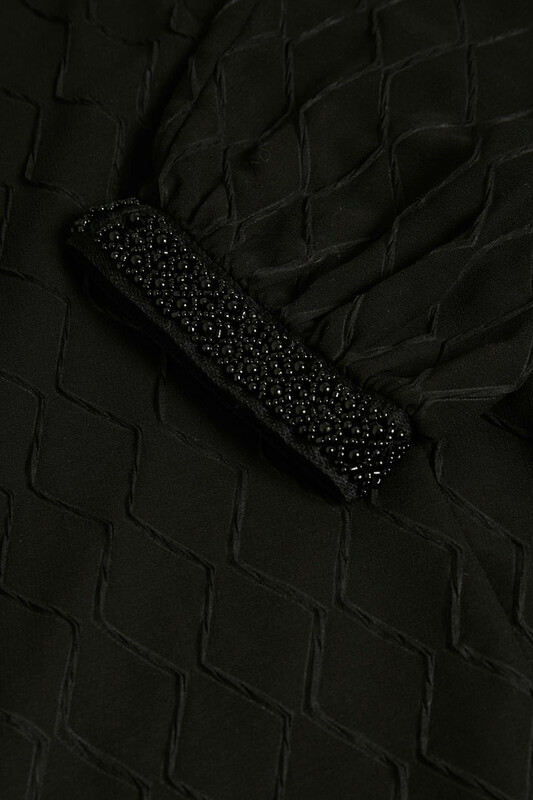 The sleeves are transparent with a small cuff with beautiful beads.